Bangalore is an incredible metropolitan city that offers an amazing lifestyle that you will surely fall in love with. This largest IT hub in the country has a lot to offer in terms of living, work, and education as well. Without a doubt, Bangalore is one of the most loved cities in the country. Arvind Skylands is the latest residential project by Arvind Infrastructure Ltd. that focuses on pure luxury and comfort for a modern-day lifestyle like no other. Extended over a land of 4.5 acres, this development offers beautiful variants of 2BHK, 2.5BHK, and 3BHK luxury apartments with spacious areas starting from 1057 sq. ft. and going up to 1482 sq. ft. to meet all your needs and requirements. Luxury and comfort welcome you with open arms at Arvind Skylands Bangalore. With glorious internal and external amenities, every inch of this development is nothing short of splendid. The apartments are well-endowed and offer beautiful luxury space, luxury furnishings and fittings, high-quality flooring, large windows providing beautiful views and premium doors, elegant kitchens, electrical ports located perfectly for easy access, extraordinary safety features and more. The external amenities at this development are mind-blowing and will always keep you relaxed, fit, entertained and active each day. There is always something new to do for every individual of every age at this ultimate residential destination. You will find rooftop and ground-level external amenities that include a clubhouse, gymnasium, swimming pool, multiple sports facilities and a play area for kids, recreation area, star gazing deck, hammocks and benches, café, theatre, multipurpose hall, exclusive car parking, gorgeous landscape garden and wide open space of 50,000 sq. ft. that will always satisfy your soul. You will also find a 24hour water supply, high-end security with video surveillance at this development. 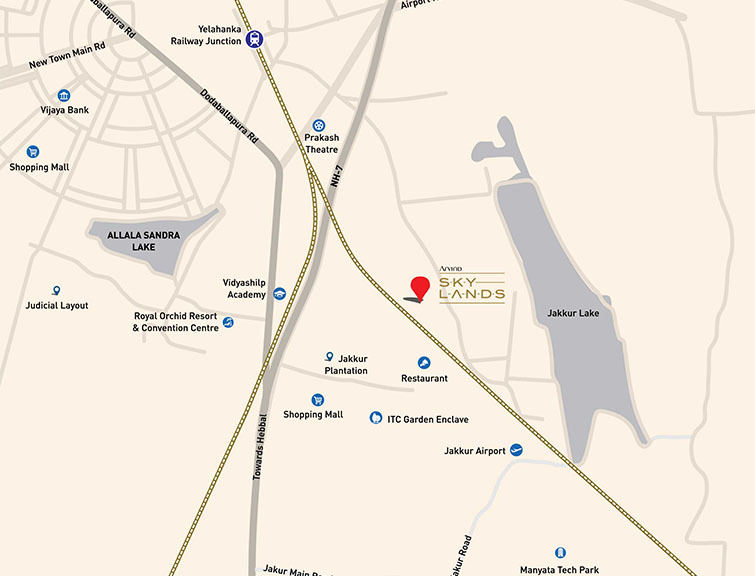 Arvind Skylands Jakkur, Bangalore, this development comes in close proximity to a number of landmarks. You can find and access places like schools, colleges, hospitals, medical centres, banks, ATMs, convenience stores, markets, shopping centres, cafes, restaurants, public transport and a lot more without any hassles and in the shortest amount of time possible. 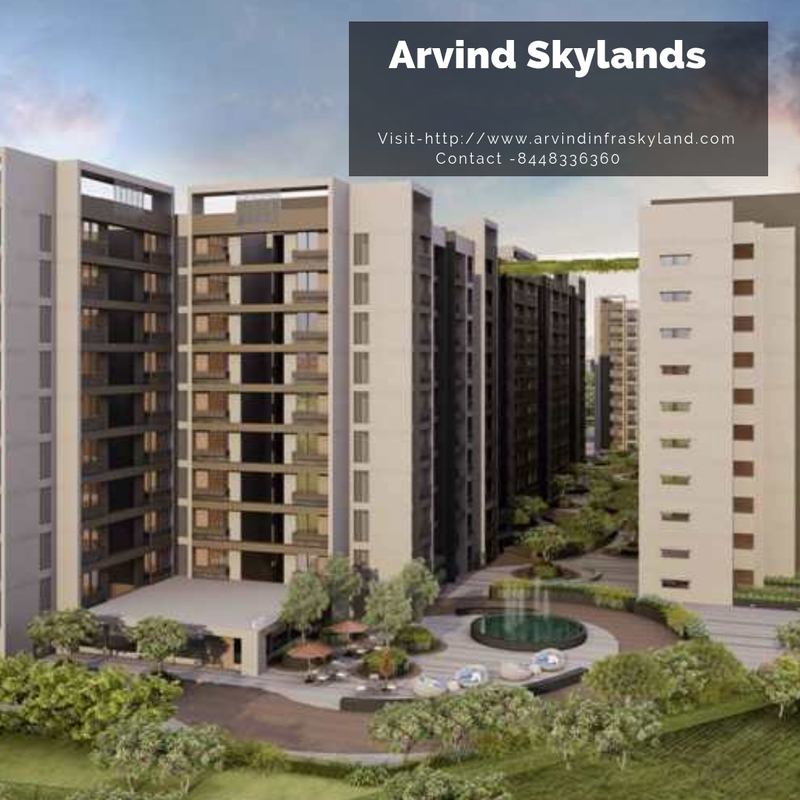 Starting at a price of Rs.41.69 lakh and moving up to Rs.58.46 lakh, it is an undeniable fact that the Arvind Skylands Price is affordable and definitely worth a buy. With a number of features that it has to offer, the price list of this development is too good to be true, but yet it is! There are different payment plans available that you can choose from, along with NRI services and home loan facilities through associated banks. Book your apartment at 10% and live the high-life today! 2, 2.5 & 3 BHK spacious apartments.